SilageManager is a new forage analysis service being offered by ForFarmers as part of its Feed2Milk initiative. Maximising milk from forage is a cornerstone of profitable dairy farming and the UK’s most efficient producers are aiming for up to 4,000 litres from this source. But many producers are being held back by the quality of their forage and often they will find their silage does not perform as its analysis suggests. Inconsistencies in forage analysis are also a recurring problem, and most farmers are aware sending the same sample to two different laboratories will often lead to quite different results. ForFarmers has been working to overcome these issues for many years and its researchers in the Netherlands are now routinely using the very latest techniques for silage analysis and have developed a far better understanding of feed utilisation. Their research has culminated with the launch, this month, of the company’s new forage analysis service, SilageManager, which sees the Dutch-led technology now made available to UK farmers. Mr Berni said: “It means UK producers can benefit from the greater degree of accuracy that comes with the new analysis, and they will have a new set of measurements included in their results. The key differences between the old method of analysis and the new comes in the way the silage is presented rather than the type of technology. “Near Infrared Spectroscopy (NIR) is used in both methods, but we have moved away from analysing wet samples of fresh forage to drying and grinding the forage before it goes through the scanning process,” he says. This overcomes one of the inherent weaknesses of the previous system, where high levels of moisture and particle size could give misleading results. “Instead we are analysing dried and ground samples and we’re achieving far greater accuracy and consistency in the results,” he says. As with the previous system, SilageManager produces results for standard nutrients such as crude protein and metabolisable energy, but new parameters will be added, giving a far more detailed indication of quality than was previously the case. “The system allows us to predict how each nutrient will behave in the cow and the impact it will have on rumen health, as well as its yield potential and how quickly a wide cross-section of its components will be fermented,” he says. “In other words, we now have a broad range of qualitative as well as quantitative information, and from this we can put together a far more accurate feeding solution,” says Mr Berni. This has already had an impact on trial farms in the UK where users of the Silage- Manager service are achieving more milk from the same level of feeding. (See case study). It is no surprise to the industry this system of improving efficiency has been developed in the Netherlands, where land prices are sky high and every hectare is under pressure. “Dutch farmers have achieved remarkable levels of efficiency, not just through their improved understanding of silage performance and complementary feeding, but also by making better quality silage from the outset,” says Mr Berni. He cites average dry matter at 13.3 percentage points higher, crude protein up 3.8 percentage points and most importantly D-value at 79, as opposed to the UK’s average 68. (See table). All of this is reflected in substantially more milk from forage which, in the Netherlands, is an impressive 3,866 litres in the average 8,357-litre herd, while the top quartile produces 54 per cent of its milk from forage. 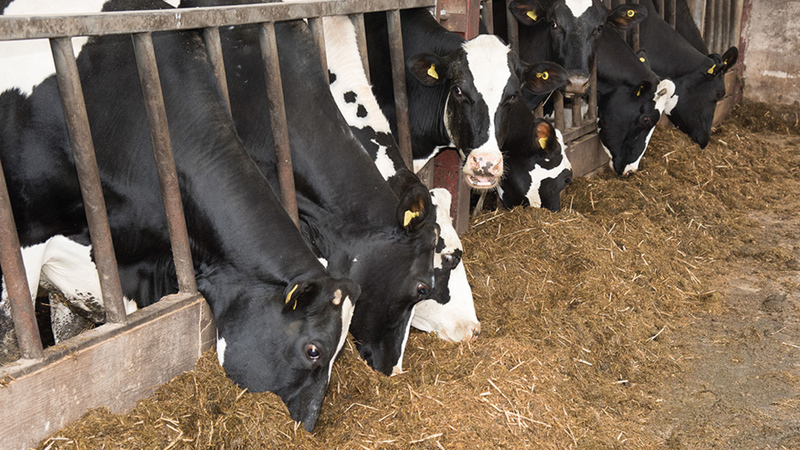 “This feeds through to 750kg less concentrate consumed per cow than in the UK, which also has implications for improved rumen health and milk quality,” he says. 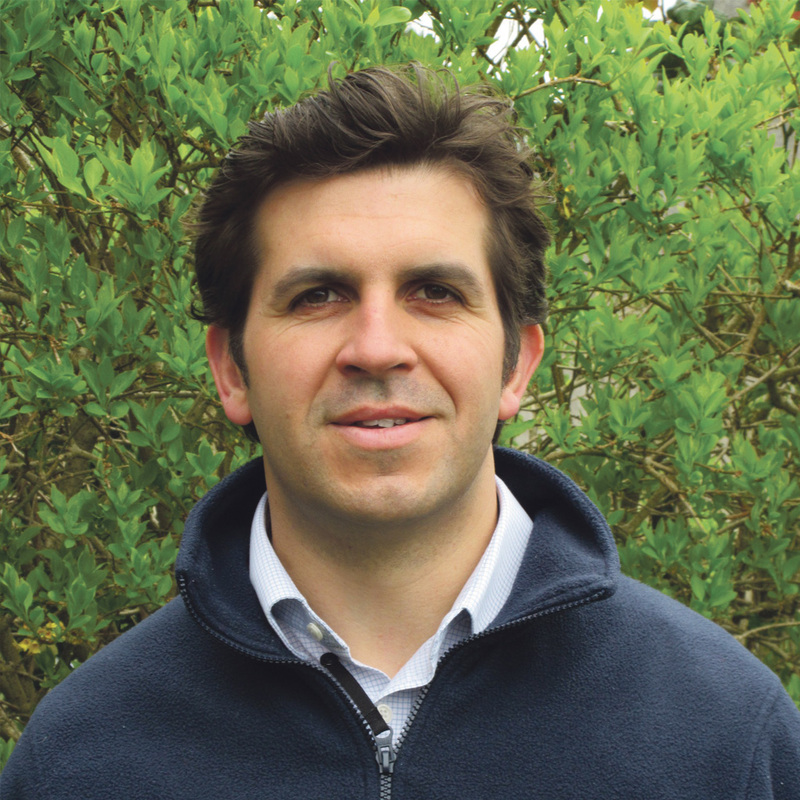 “And it reflects rigorous attention to detail in grassland management and silage making High forage quality definitely leads to more milk from forage,” says Mr Berni. 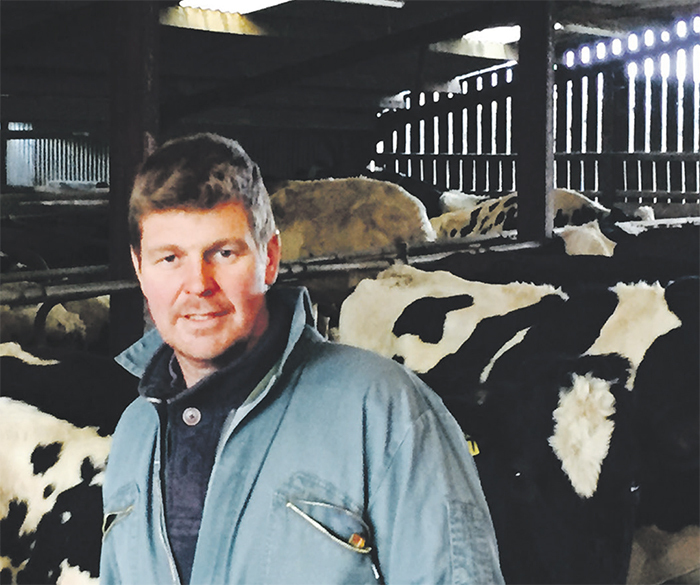 Cheshire farmer, Neil Goodwin, switched to the new SilageManager service on a trial basis and it gave him the confidence to make some significant changes. On receiving the new silage analysis and in consultation with his nutritionist, Nick Johns, he cut the feed rate in the parlour by 1kg/ cow/day and upped the expectation from his total mixed ration. With 189 cows in total and 158 in milk on The Royals Farm in Aston, near Nantwich, this has the scope to save well over 100kg of feed every day. A new concentrate feed was also chosen to better complement the forage, and this started to be fed in early December 2016 to the yearround calving herd. “By the time I placed the feed order over Christmas I was ordering six tonnes instead of the usual nine, which is a big saving at more than £200 per tonne,” he says. More importantly, Mr Goodwin says the cows performed very well on their lower concentrate intake and the higher quantities of forage, and rather than see any fall in production it has picked up by 1.4 litres/cow/ day. This has been reflected in a marked decline in feed rate which has dropped from 0.27kg per litre in November to 0.23kg per litre for the following month. Commenting on the changes, Mr Goodwin says: “As far as I’m concerned, all I have done is dropped the concentrates fed and the milk has picked up, fresh calvers look better and fertility is good. “It seems to me the cows are more content when they are fed less of something better, so with financial savings as good as this it looks like this will be a long-term change,” he adds.